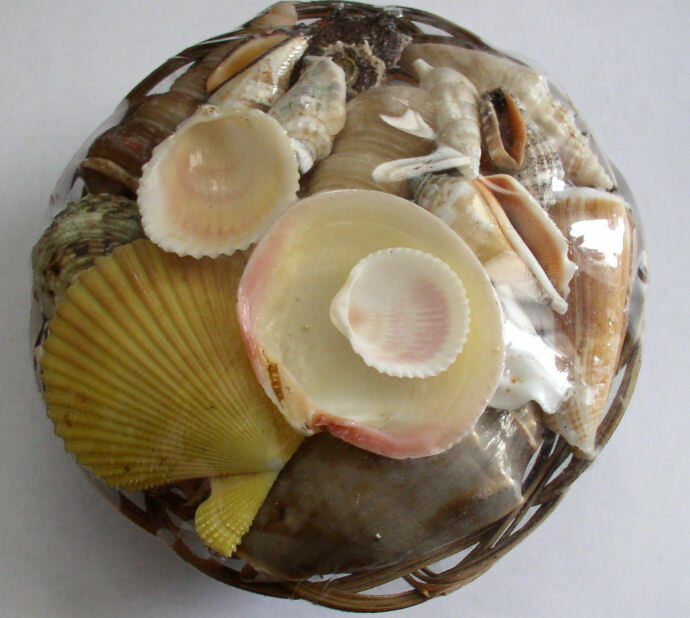 Sea shells In Basket. 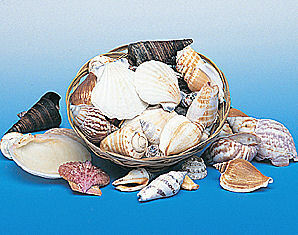 Each 6" wicker basket includes about 25-40 sea shells. Each individually boxed. The shells are randomly assorted - prepackaged. Some may not be in perfect condition (E.G. small chips, cracks etc). 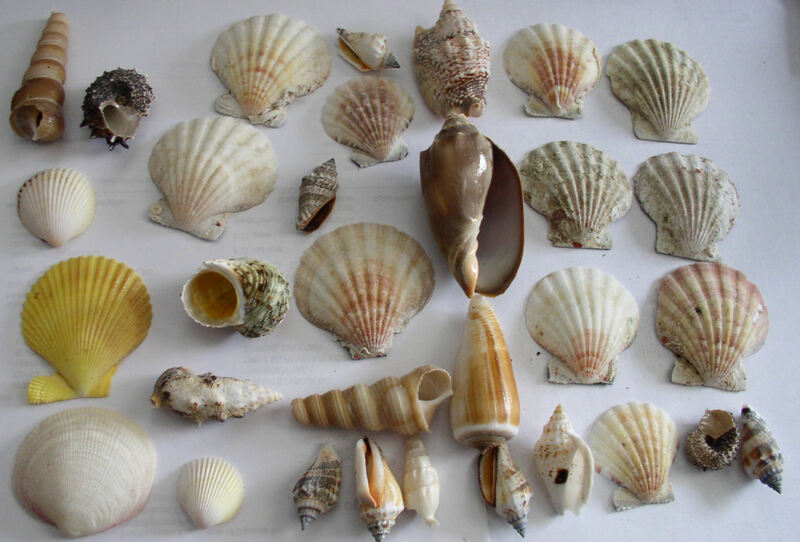 Natural seashells, size and color may vary. See pictures below for an example of an actual basket.